First of a, feel free to send corrections of any kind, including text reformulations. The main objective of this article is teach how to use and understand the scenarios where the TMutexServer and TMutexClient classes should be used. A summary of the properties and methods of each will be discussed below. A very important thing to be noted in these components is that they are meant to be called exclusively via code. Therefore, there are no graphical (or easy) ways to protect your resources that need exclusive access. Finally, to give exclusive access to a resource or to synchronize between several processes that are running different stations, it is necessary to make use of the TMutexClient class in each of the competing applications. Therefore, if an application does not make use of this class, unexpected behavior may occur. When the integrity of multiple writes should be guaranteed, preventing one application from overwriting the data sent by another. When you want exclusive access to a resource (PLC memory area) when certain actions are being performed in an environment with multiple applications. 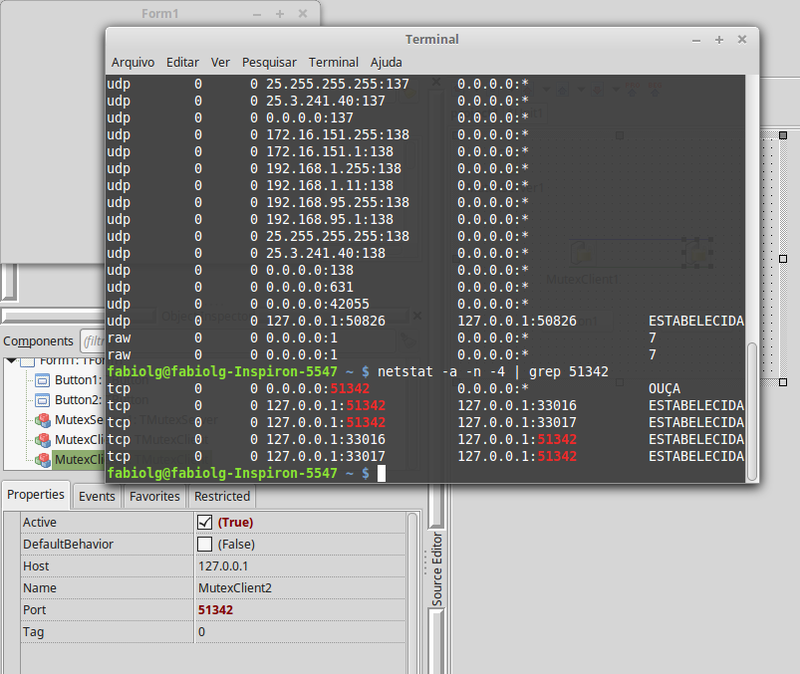 Both classes are available when the pascalscada.lpk package is installed. 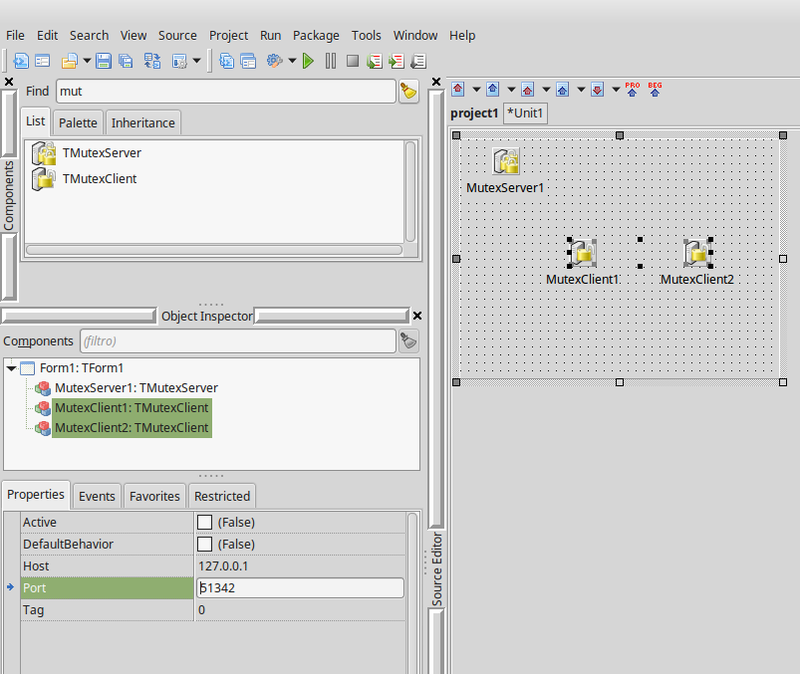 This configuration is made in two steps, one on the server side and the another on the client side. 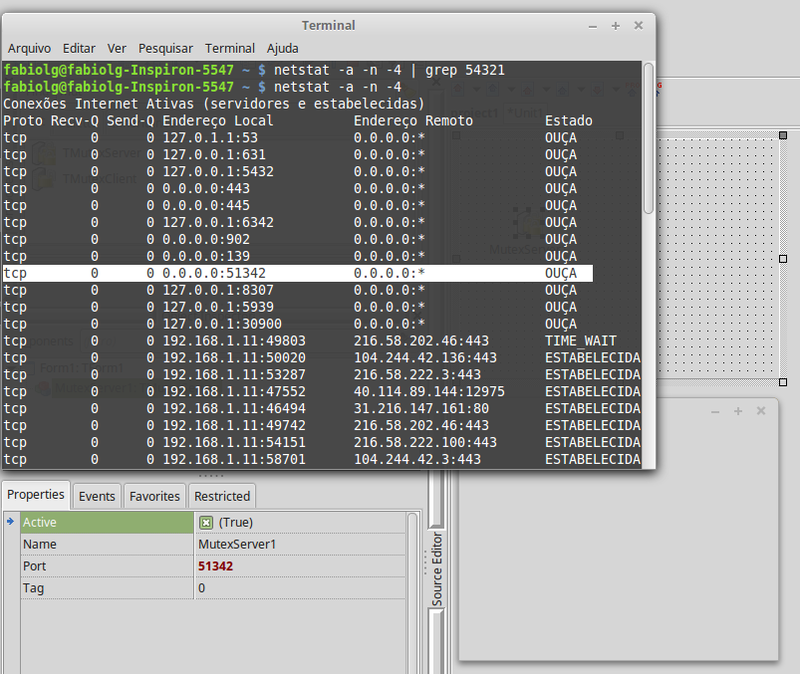 Configure the TCP/IP port that this mutex server will serve the client requests. This number can’t be repeated if multiple instances of the TMutexServer class are inserted and enabled in your application/service. The port number must also be available (can’t be opened by another service/applications) because the TMutexServer class will open it to accept connections. Therefore, modifications to your firewall may be necessary. The configuration of the client applications consists in two basic steps, which are the configuration of the connection to the mutex server and after that, the changes in the source code to verify exclusive access to the resource. Insert an instance of the TMutexClient class into your application. 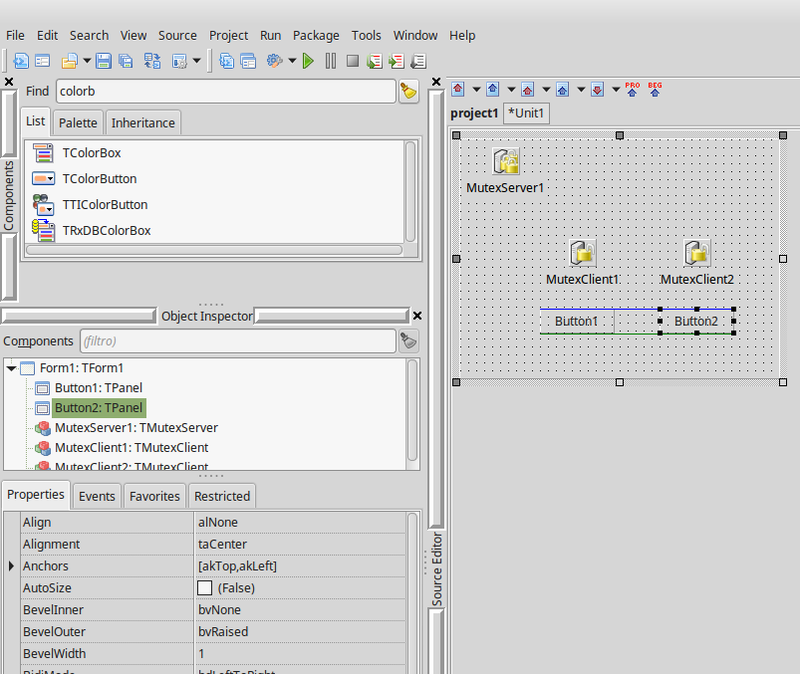 In this example, will be inserted two instances of this class, to be possible replicate a race condition. Set the address of the mutex clients to the mutex server address, which is who will arbitrate who will have access to the exclusive resource. Remember: only IPv4 is accepted! 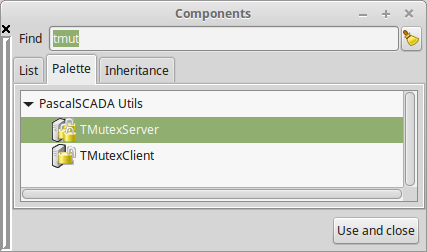 Set the mutex server port for the clients. In our example we kept the default. Set the DefaultBehavior property, because it’s define the default behavior when the mutex client is disconnected from the mutex server. The False value in this property will deny access to the resource if the mutex client is disconnected. If this property has a value True and the client is disconnected from the mutex server, an resouce access attempt made at that at the moment that mutex client is offline, will allow the access to the protected resource. Be careful! 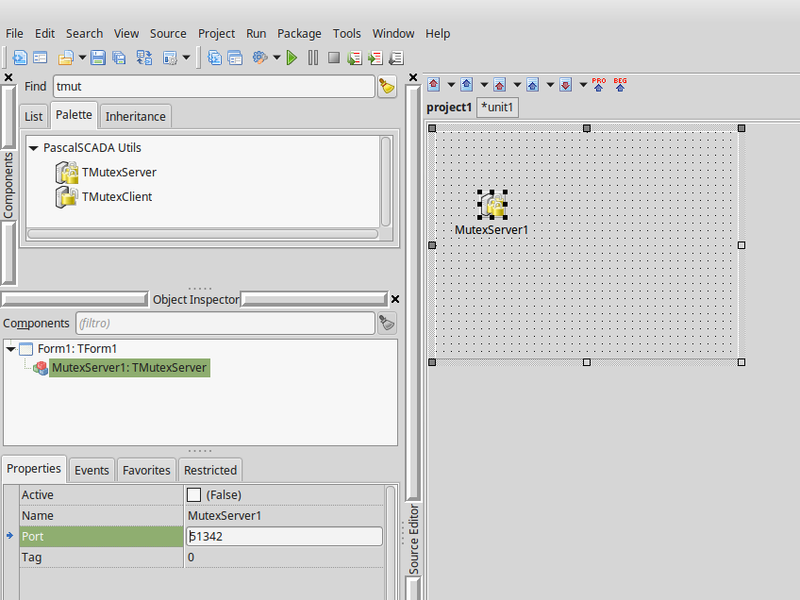 Finally, enable the the clients to connect to the configured mutex server. In this example, I’ll add two panels that will act as buttons (yes Panels, for the simple fact that the native button classes do not accept the value of the color property). 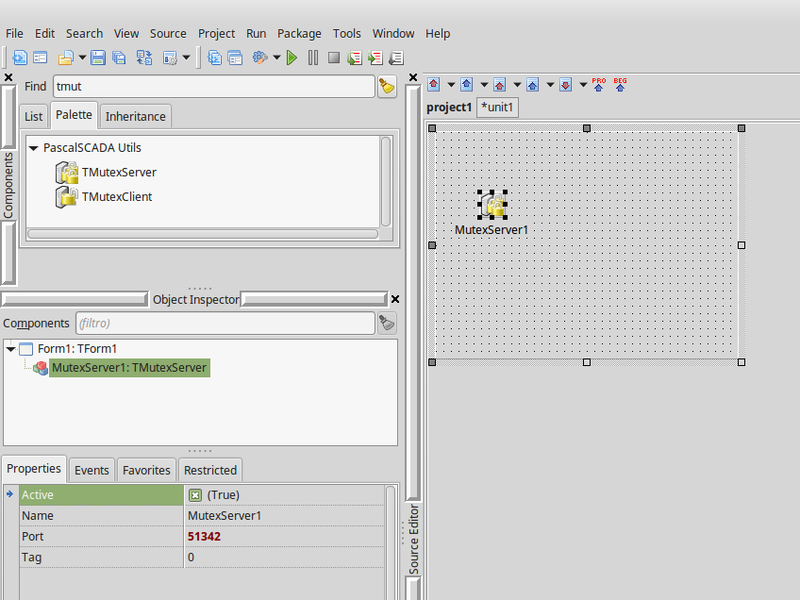 On the first button click, it will request the resouce to the mutex server and in the next click will Release the resource. If the clicked button gets the access to resource, the button color will change to green, and if button releases the resource, their color backs to silver (or the color default of your theme). TryEnter: function that returns a boolean value true if access to the resource has been allowed (either by the mutex server or by the DefaultBehavior property) or false otherwise. This function does not return the source of the value (mutex server or DefaultBehavior property). TryEnter (out PickedTheDefaultBehavior: Boolean): function that returns a boolean value true if access to the resource has been authorized (either by the mutex server or by the DefaultBehavior property) or false otherwise. This function returns another boolean value, that is true if the result of the function was obtained from the DefaultBehavior property. That is, if the value of the variable passed to the PickedTheDefaultBehavior parameter returns with true, you are disconnected from the mutex server! Leave: function that freeds the resource if its mutex client own it. Returns true every time the mutex client has the resource and releases it and false otherwise. The mutex server is programmed to release the internal mutex, if after a few seconds, the mutex client does not respond to the ping commands. Ping requests are sent every second. After sending, the mutex server waits for one second for the ping response of the mutex client. If a mutex server fails to send or receive a ping, a fault counter is incremented. When this counter reaches a value greater than or equal to 10, the shutdown procedure of this mutex client with problems is initiated and if it owns the mutex, it makes the proper release of it. On the client side, a lost connection is retrieved every time that a call to the TryEnter or Leave functions are made. Deadlocks on the mutex server can not be avoided if the client don’t do the proper release the mutex (never call the Leave function), either by mistake in the logic or by the application freeze. Both the mutex server and the mutex client starts threads to be able to send and respond to ping commands without suffering or causing interference in the main application loop.